O.S. Nock's Railway Reminiscences of the Interwar Years. London, Ian Allan, (1980).. First Edition; 8vo; pp. 176; numerous b/w illustrations; original cloth, dustjacket, priceclipped, otherwise a fine copy. O, Those Extraordinary Women ! : or the joys of literary lib. MANLEY, SEON ; BELCHER, SUSAN. First Edition; 8vo; pp. (x), 330; b/w. illustrations, selected bibliography, acknowledgements, index; dustjacket, minor flecking to verso rear jacket near top of page, otherwise a fine copy. 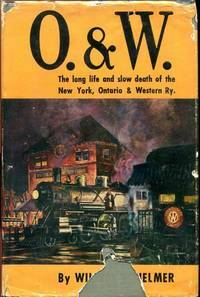 Philadelphia, Chilton Book Company, n.d.
O & W.: The Long Life And Slow Death Of The New York, Ontario And Western Ry. California, Howell-North, 1959.. First Edition; Sm 4to; pp. (xiv) 211; illustrated endpapers, frontispiece; numerous illustrations throughout, mainly photographic with a few maps and drawings; colour illustrated enpapers; illustrated frontispiece; appendix, bibliography, acknowledgments; includes map and condensed profile of N.Y.O. and W. RY main line; original grey cloth; torn dustjacket, some minor flecking to pages, otherwise a fair copy. 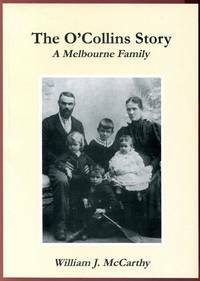 The O'Collins Story. : A Melbourne Family. (William J. McCarthy, 2002).. First Edition; 8vo; pp. (iv), 183; numerous b/w illustrations; stiff illustrated wrapper, a fine copy. First Edition; 8vo; pp. 255 (last blank); 1 double page map, glossary, index, original black cloth, dustjacket, a fine copy. London, Hodder & Stoughton, (1993). O'Shea Index To The Mercury Births 1911-1920. O'SHEA, J; O'SHEA, F; Compilers. Hobart, The Genealogical Society of Tasmania, 1995.. Lge. 4to; pp. (vi), 71; stiff wrapper, a fine copy. O'Shea Index To The Mercury Births 1854-1899.: Companion to Whitton's Index 1858-1899. Hobart, The Genealogical Society of Tasmania, 1993.. Lge. 4to; pp. (vi), 48; stiff wrapper, minor mark to front, otherwise a very good copy. O'Shea Index To The Mercury Marriages 1854-1899.: Companion to Whitton's Index 1858-1899. Hobart, The Genealogical Society of Tasmania, 1994.. Lge. 4to; pp. (viii), 98; stiff wrapper, a fine copy. O'Shea Index To The Mercury Marriages 1900-1910. Hobart, The Genealogical Society of Tasmania, 1994.. Lge. 4to; pp. (viii), 75,75; stiff wrapper, a fine copy. O'Shea Index To The Mercury Deaths 1911-1920. Hobart, The Genealogical Society of Tasmania, 1995.. Lge. 4to; pp. (vi), 165; stiff wrapper, a fine copy. O'Shea Index To The Mercury Deaths 1900-1910. Hobart, The Genealogical Society of Tasmania, 1994.. Lge. 4to; pp. (vi), 133; stiff wrapper, a fine copy. Hobart, The Genealogical Society of Tasmania, 1994.. Lge. 4to; pp. (viii), 98, 98; stiff wrapper, a fine copy. O'Shea Index To The Mercury Births 1900-1910. Hobart, The Genealogical Society of Tasmania, 1994.. Lge. 4to; pp. (iv), 46; stiff wrapper, a fine copy. 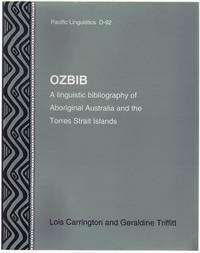 OZBIB: A Linguistic Bibliography of Aboriginal Australia and the Torres Strait Islands. : Pacific Linguistics D-92. Canberra, Pacific Linguistics, 1999. . First Edition; 8vo; pp. x, 282; language index, topics index; original stiff illustrated wrapper, minor marks to wrapper, otherwise a very good copy. 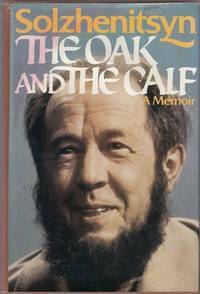 The Oak and the Calf: Sketches of Literary Life In the Soviet Union. Translated from the Russian by Harry Willetts. London, Collins and Harvill Press, (1980).. First UK Edition; 8vo; pp. vii, 568; appendixes, publisher's notes, glossary, index; original cloth, marks to dustjacket; spine of dustjacket faded, bookplate, water damage to some pages; a good copy. Oakfield Or Fellowship In The East. New York, Leicester University Press, 1973.. Reprint; 8vo; pp. 298; original cloth, chipped dustjacket, previous owner's name on front free endpaper, price clipped, a good copy. 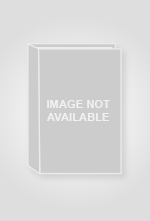 The Oaklands Hunt 1888 - 1988.: A chronicle of events". (Melbourne, Published by Author, 1989).. 4to; pp. 264; profusely illustrated throughout, index; original red cloth, damaged dustjacket; cloth bumped; otherwise a very good copy. Oasis in the West. : Strathfield's First Hundred Years. Sydney, Allen & Unwin, (1985).. 4to; pp. 175; endpapers, profusely illustrated throughout, maps, tables, appendices, notes and references, index; original blue cloth with title in gilt on spine, dustjacket; a fine copy. Obitaury Notices Together With Funeral Address And Sermon. : Who Died 14th October, 1895. Aged 90 Years. Singleton, Budget Print, 1895.. 16mo; pp. 32; stiff stapled wrapper, flecking to wrapper, wrapper chipped, good copy. (New York), Meridian, (1993).. 8vo; pp. xvi, 496; references, index; stiff illustrated wrapper, light flecking to spine, previous owner's name on front free endpapers, otherwise a very good copy.